Choices is written by Paul Shotsberger. Shotsberger is Professor of Education at Southern Wesleyan University. Prior to his current position, he served as an officer in the United States Navy, a high school mathematics teacher, and a missionary in Ukraine. 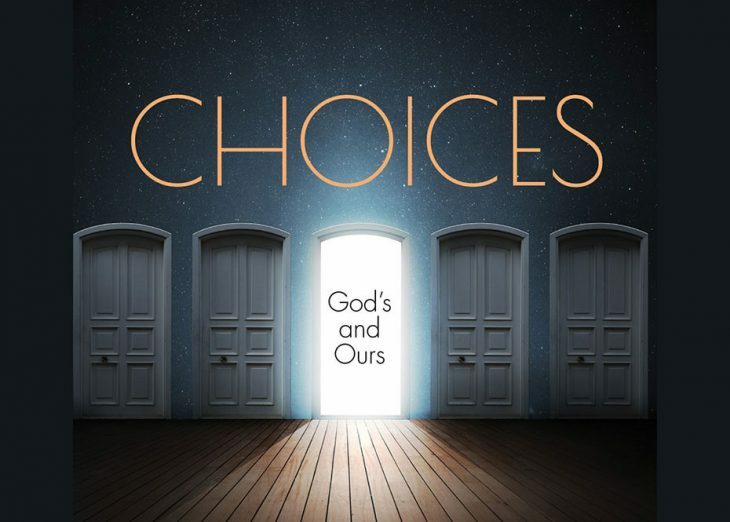 Choices is a collection of views and stories about how God’s decision’s and our choices correlate together to achieve His Kingdom. The overall perception in the book is transcribed from a practical theological standpoint. He touches on how we have the freedom to make our own choices, and how those choices have distinct consequences. Each and every day we decide what choices we want to do and how we do things. The only time we feel as if we are stripped of our free will is when we feel as if we have to do things when there is someone controlling or commanding us. Shotsberger states that this can be situation where the person is enslaved by a force in suppressive societies. Shotsberger touches on spiritual heroes and how they come in all ages, shapes, sizes, and race. Spiritual heroes can be meek and valiant- or discreet and bold. Even though spiritual heroes can be different appearance wise, they all have one thing in common. Each of them come into our lives and leave an ineradicable impression that leads back to Christ before it points back to them. We would want nothing more than just to see and hear these heroes everyday- the very ones who spread their gospel during and after their lifetime. Especially after their lifetime, when their everlasting marks on those around them. Shotsberger clarifiers that John Scott is one of his spiritual heroes. He was the British missiologist and theologian, but has sadly passed away.